Supreme Sowles Bay Villa on Lake James! A great home for entertaining family and friends in style. 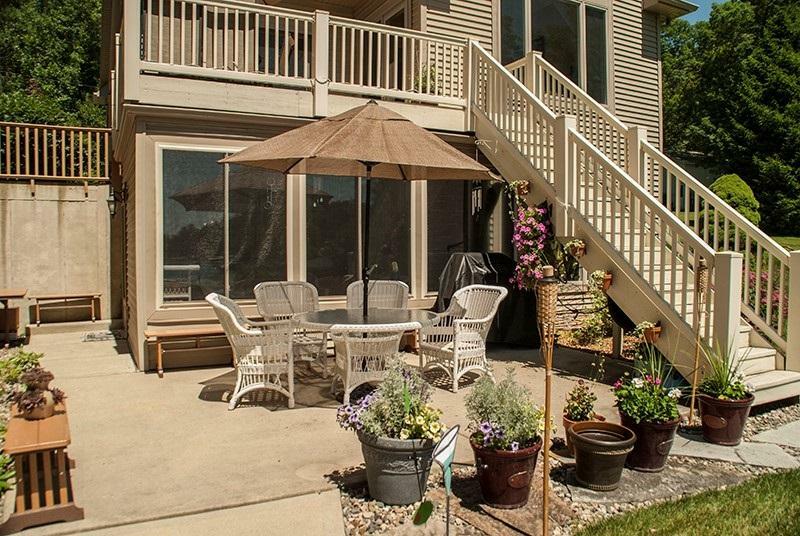 Everything needed for day to day living is on the main level. Great open concept throughout. Grand foyer entry is open to the second story with tile flooring leading all the way into the kitchen. Custom kitchen cabinetry, Corian counter tops, stainless appliances, breakfast bar and open to the dining area and living room. Cathedral ceilings with feature window and gas log fireplace in the living room. 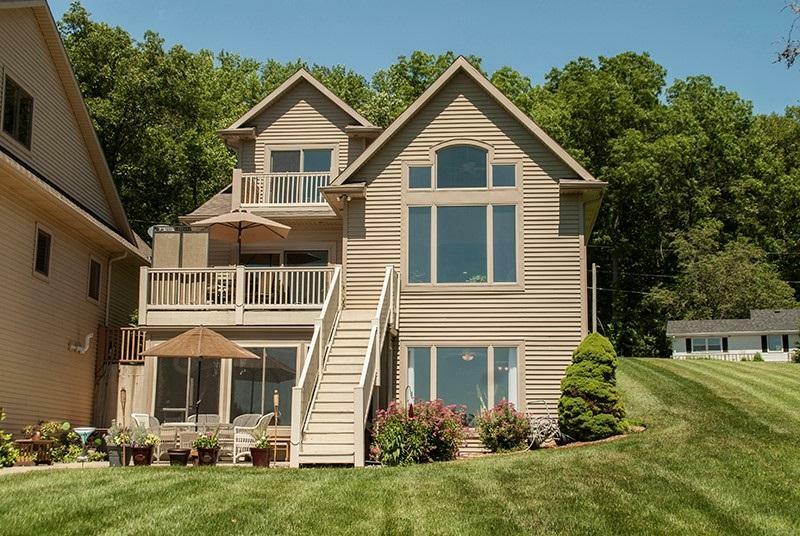 Sliders to the lakeside deck and outstanding views! Main level master suite is lakeside with double sink vanity, separate tub and shower. Main level laundry room and half bath. Upstairs the loft landing is large enough for a home office. There are two spacious bedrooms, a full bathroom and a 9x25 bonus room. The lower level family room has a wet bar with 2nd refrigerator and access to the enclosed porch. There is a full bathroom and an unfinished utility/storage room. Wonderful outdoor living spaces! 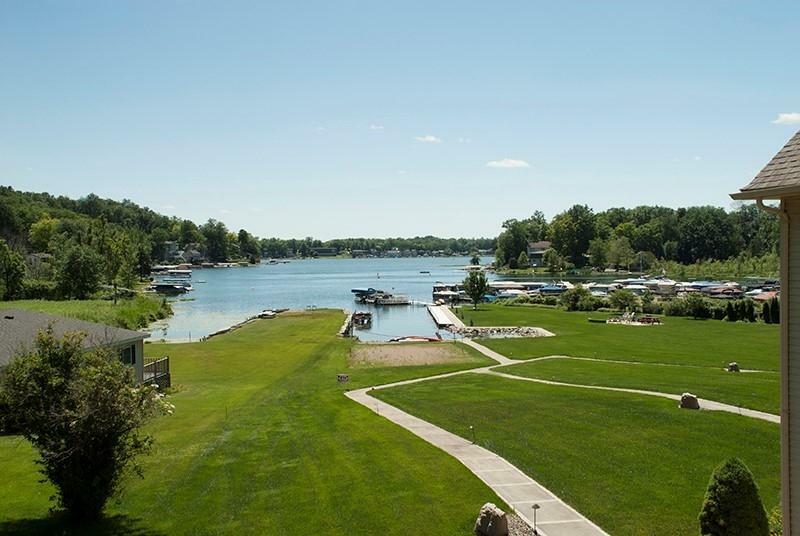 HOA fees include lawn mowing, snow removal, dock install & removal and maintenance of common areas which gives you more lake time! There is a boat slip plus 2 jet ski spots. Go to https://youtu.be/GXXnb7g9Mrk for an aerial tour of the property. 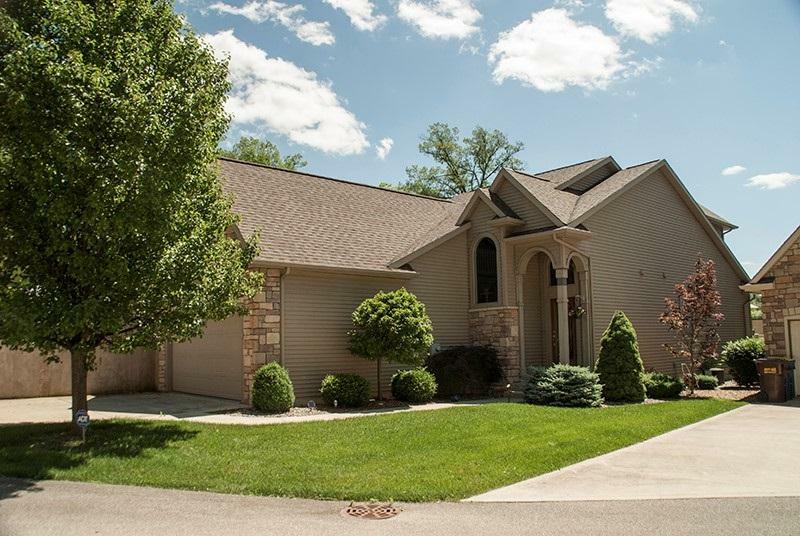 Listing courtesy of Barbara Hendrick of Coldwell Banker The Real Estate Group.